rough grass, borders and lawns. Treat in Spring to Autumn. Docks are a perennial weed that grow in Grassland, disturbed gardens and woodland. They are a plant that can produce a massive amount of seed and quickly establish themselves thanks to their deep-rooted tap root. There are various species of Doc including ‘Curled Dock’, Creeping Dock’ & ‘Perennial Dock’. They are difficult to eradicate due to the size of the leaf & root and how tough and waxy the leaves and stem can become. It is easy to identify a dock plant when they are established as they have a large broad leaf that can grow upwards of 3 foot high often with a seed head at the top. When they are smaller or at ‘cotyledon stage’ (the first 2 leaves visible) they can be trickier to identify. During the summer months they can have a visible shiny appearance to the leaf. Docks have a thick branched root that can regrow if it becomes damaged and can re populate. It is important not to disturb them or try to pull them out as it can easily snap. Seeds can produce in abundance if left on a surface and the seeds can also be imported via manure. Docks can be hard to control once they have become established and in some cases it can take several years to fully eradicate them. While mowing, rolling & grazing with sheep will help keep it at bay, they will not remove the problem. The only way to fully control is with a targeted application of herbicide. For best results in pasture we would recommend using ‘Doxstar’ which has been specifically designed to treat all Docks. The use of a ‘Spray Enhancer’ may also be needed to ensure the chemical penetrates the waxy leaves. You can use more cost effective options such as ‘Headland Polo’, and these will ‘knock back’ the docks that are present, but these will often re-grow from the root. 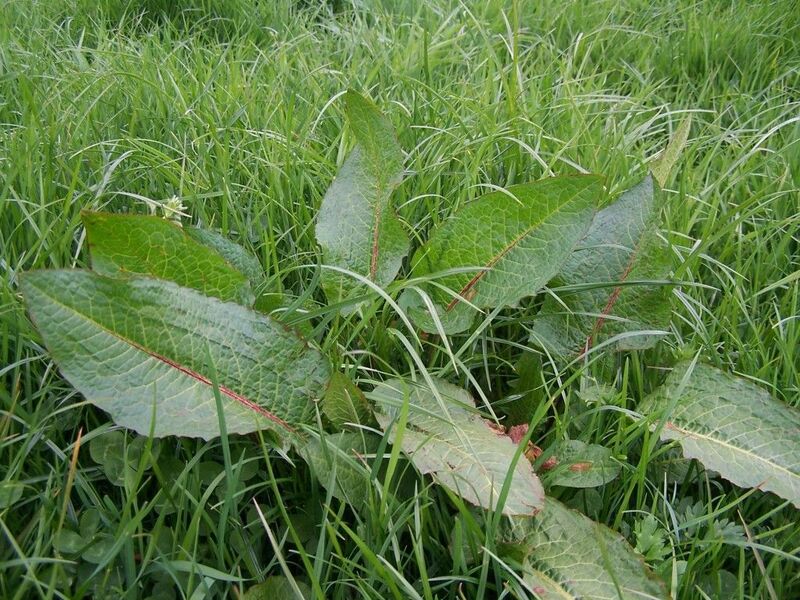 If you have this weed in a ‘bare area’ then we would recommend a treatment of ‘Diamond’ which will control all other weeds and grasses. If you have this problem within a lawn, we would recommend looking at ‘Enforcer’.